I honestly can't imagine a more difficult topic to approach through a video game than one of the most dramatic, important, and political events that has happened in modern history; the Islamic Revolution of 1979 that took place in Iran. Related reading: Another interview about Iran, this time with an Iranian developer that is looking to capitalise on the easing of economic sanctions on the nation. For those who are not so across their history, the Islamic Revolution was an uprising led by Ruhollah Khomeini. The revolution disposed a western-friendly monarch, Shah Mohammad Reza Pahlavi, and put in place the Islamic republic that we know Iran to be now. As a consequence of what went on in that revolution, ties between Iran and the west (namely, America) soured completely and turned Iran into an international pariah - a state it is only starting to emerge from now as moderate forces argue for a more progressive nation. As you can probably guess, it has become intensely difficult to separate real history from the revisionist work on both sides of the political spectrum, and that has made it very difficult to present balanced and fair perspectives on the event through any artistic medium, let alone one as young as the games industry. After all, consider Academy Award-winning film, Argo - a film that has been intensely debated for its portrayal of events by the CIA in the US. And, of course, you'd be naive to accept the CIA's account - the perspective from any western body - on face value too. Iranians obviously have a very different story, as do those Iranians who escaped their homeland in the wake of the Revolution. 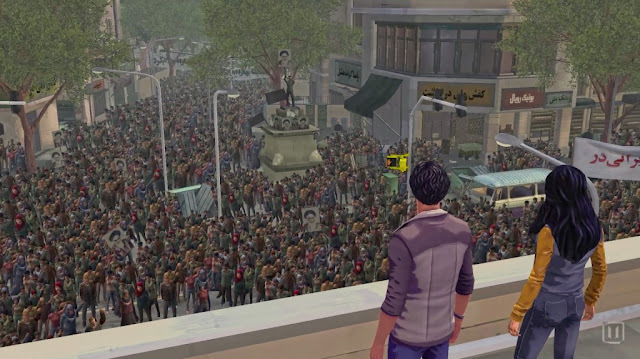 And yet, iNK Stories, an independent developer based out of New York, has tackled this exact event with 1979 Revolution: Black Friday; a game that casts players as a young photojournalist right in the thick of events. This is an important game indeed as a result, and has the genuine potential to be that landmark moment when games about politically sensitive events can be validated as a topic worth pursuing. 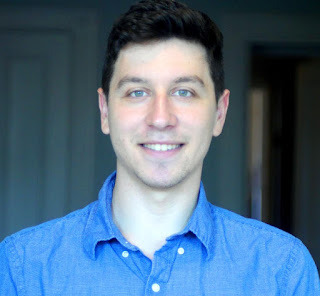 I had a sit down with Sam Butin, the cinematic producer of the game at iNK Stories. His title should give you an idea of where the developer targets its work... and indeed 1979 Revolution has been all the way to the pinnacle of film festivals, Sundance itself. Digitally Downloaded (DD): What inspired you to develop a game about the 1979 Revolution? Sam Butin (SB): The conception of the game came from game creator/director Navid Khonsari's background as an Iranian - his family left when he was ten years old during the Revolution. Navid went on to work as a cinematic director for Rockstar Games on GTA III, Vice, San Andreas, Max Payne and others - so he had a huge amount of experience in gaming and saw the opportunity to bring a new point of view to gaming. 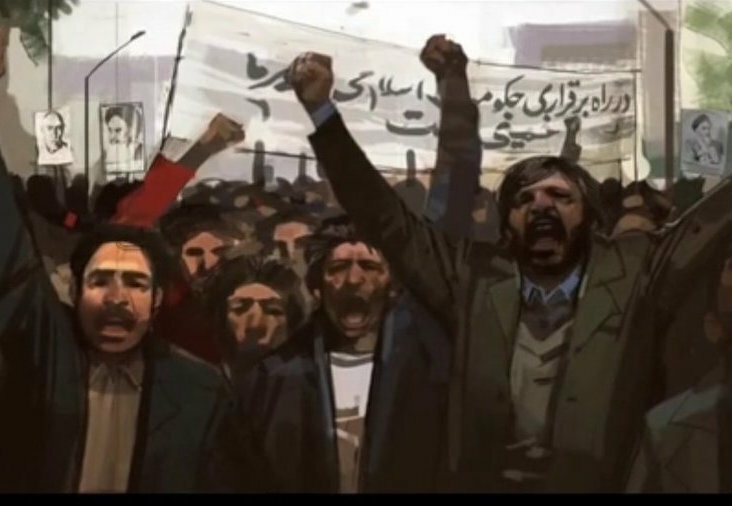 1979 Revolution was the culmination of iNK Stories (us, our indie team) working two years to create the game and craft a story that would appeal to a large audience of multi-national gamers who would hopefully identify with these characters and leave the game with more understanding about a culture and world that most people know very little about. DD: Obviously, in the current environment, there's a certain political sensitivity to anything to do with the Middle East. What has been your approach in depicting the events in the game... did you plan on taking a ideological stance at all? SB: The depiction of Iran in the game came from a conscious effort to be as objective as possible when talking about this period in history. In research for the game we conducted over forty interviews with people who were in Iran during the Revolution - these people came from all different walks of life, and because of this we had a huge variety of perspectives across generations, classes, and cultural lines that informed the development of the characters in the game who are an amalgamation of these many stories. In addition, we had the good fortune of partnering with a French journalist named Michel Setboun who was in Iran in 1978-1980 taking pictures as a foreign correspondent. Through his pictures, we had a window into the style and world of 70's Iran that we used to meticulously re-create streets, art assets (signs/posters/banners/cars/etc.) and character models. This tied into a main feature in the game - photography - as we consciously show the comparison between the photos players take in the game and compare them to the real-life primary sources we based the photograph on. History is often warped in retrospect - so a big push in the game was to not condemn or vilify people - instead we wanted to show the vast different ideologies and perspectives that were there at the start of the revolution and bring to light stories that had previously gone untold. DD: Why did you decide to have a journalist as the protagonist? SB: Making the protagonist a blossoming photojournalist was a key part of allowing player agency in the storytelling. Through the eyes of Reza, we had a perspective that could be objective when needed, and subjective when allowed. It also played on an interesting morality question that journalists often wrestle with - when do I take photos and when do I put down the camera and get involved. Although Reza's role as a photojournalist informs the backdrop - this is primarily a character driven story, we were interested in character relationships and the lines that were drawn between families during the Revolution as things became more fraught. The relationships you have with the other characters in the game is the primary driver of the story and emotional impact in the game - they carry much more weight than any big picture political ideas could ever achieve. DD: I noticed the game got a run at Sundance. What are your views on the increasing trend that we're seeing where the lines between games and cinema are blurring? SB: Our experience at Sundance was incredible - and sheds a light on the blurring trends of storytelling as you put it. This game is very much driven by the cinematic experience of our team - many of us come from a film/television background ourselves, and we've used many of the experiences we've had in visual storytelling in filmmaking in bringing '79 to light. As gaming has matured as a medium and new perspectives have embraced the vast potentials the medium has - the lines between interactive and film are going to increasingly blend in exciting, powerful ways. 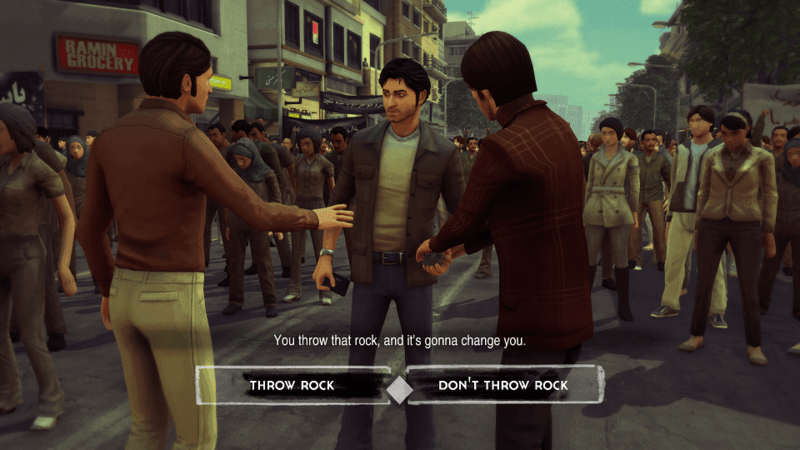 We made 1979 Revolution as a game because we believe it has the maximum impact in this medium - where you give the audience an ability to interact and engage. In many ways gaming is the ultimate artistic medium because it allows for such personal ownership of an experience and an ability to create empathy playing as someone else. DD: Do you think games can be used to tell difficult stories? What I see a lot of is the expectation that a game that isn't "fun" in the conventional sense tends to attract criticism, so is that a deterrent in producing a game that has a message to share as its first priority? SB: Games can absolutely be used to tell difficult stories. The "fun" factor is an interesting question because in a large part it's true - you need to have an entertainment factor/value that can wrap people and engage them in an experience. That doesn't mean the game needs to be an FPS to do that - you look at games like "Gone Home" which has almost no traditional "gameplay" elements yet is incredibly successful and engaging because of it's storytelling and world it wraps you into. In making 1979 Revolution: Black Friday - the primary goal was to make this a fun experience, an engaging experience because without that there's absolutely nothing to keep people playing - a history lesson won't get you very far. I think our greatest success we're hearing from players of the game is that this is convergence of entertainment and experiencing something new and interesting. DD: Do you intend to continue making games in the vein of to this one? Are there any other periods of history that really have your attention? SB: We definitely want to make games in this vein in the future. Even in the world of 1979 Revolution - we hope to continue to tell the story of Iran and the Revolution if the audience support and interest is there for us to do that. There's a huge, massive ground for fertile storytelling wrapped in history - you could look at movements like the Central American Revolutions in the '50's - the American cultural Revolution in the 60's - the breakup of the Soviet Bloc in the late 80's/90's - there's so many different stories to tell and we're hoping now that we've shown a way to wrap these experiences in a narrative that can engage gamers - there will hopefully be other developers interested in telling stories steeped in these periods as well. DD: Did you find it difficult to craft a strong, author-driven narrative there's that element of player choice and behaviour to consider? SB: Keeping player agency and choice while maintaining a strong, story-driven narrative is an interesting conundrum because by definition they are often at contrast with one another. The key here is that players often crave engagement in the experience - but they don't necessarily want an endlessly branching, sloppily told story where a hundred weak choices are made rather than ten strong ones. Ultimately that's what makes players attach themselves to the characters - not the choices they make but how it affects the characters they love. DD: Finally, what kind of games inspire you personally? SB: Personally, I enjoy games that feature vivid, interesting characters while also being steeped in an massive environment that encourages discovery. Games like Bioshock and Fallout that world-build so well while allowing you to engage with a warped history aesthetic. I also really enjoyed This War of Mine and Papers, Please as well - those types of games are very impressive because of how tonally bleak and difficult they can be to play - yet they still engage with interesting gameplay systems and do something no one has really done before in a profoundly compelling way.